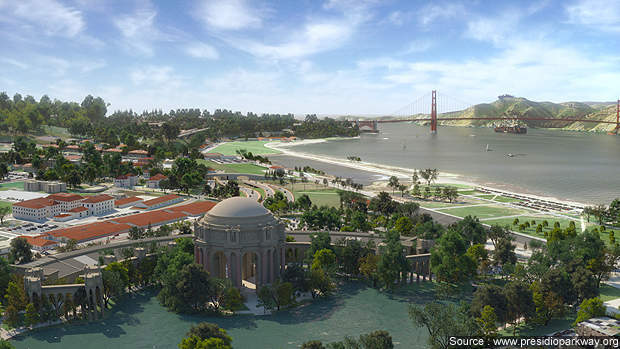 An artist's impression of the view of the new Presidio Parkway from the Palace of Fine Arts, San Francisco. The Doyle Drive replacement is a six-lane parkway with a south-bound auxiliary lane through the Presidio Trust to Richardson Avenue / Lombard Street. 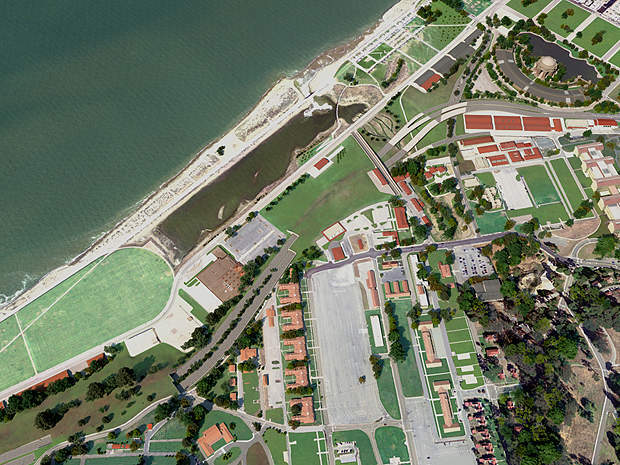 Aerial view of the Battery and the Main Post tunnels for the Presidio Parkway. Aerial view of the Presidio Parkway interchange. The future Lincoln Boulevard over the tunnels. 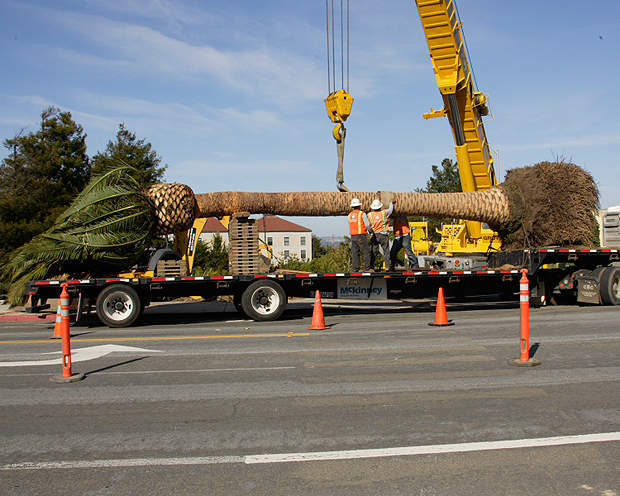 Relocation of a palm tree during the replacement of San Francisco's Doyle Drive. Transplantation of Manzanita, an evergreen shrub native to western North America. The Presidio Parkway in San Francisco, California, US, was constructed as a replacement for Doyle Drive, which was built in 1936 to link the Presidio military base to the Golden Gate Bridge. Presidio Parkway was officially opened in July 2015. 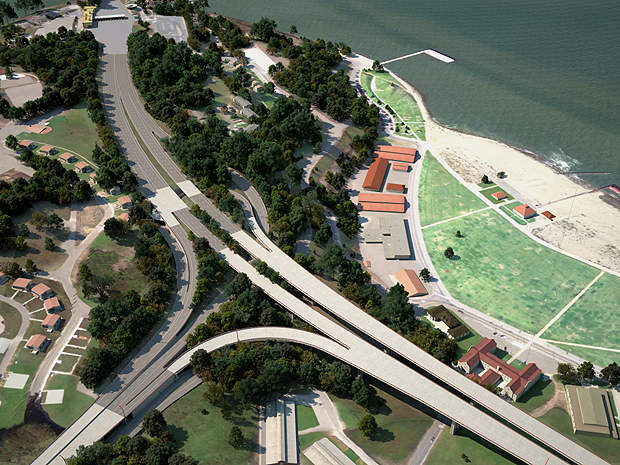 The handling capacity of Doyle Drive was more than 100,000 vehicles a day; however, it became structurally and seismically unsafe in this earthquake-prone area, thus necessitating the replacement. The driveway also lacked direct access to Presidio, which is now a national park. The San Francisco County Transportation Authority’s Board of Commissioners finalised the Presidio Parkway project in 2006. The Doyle Drive replacement is a six-lane parkway with a southbound auxiliary lane through the Presidio Trust to Richardson Avenue / Lombard Street. 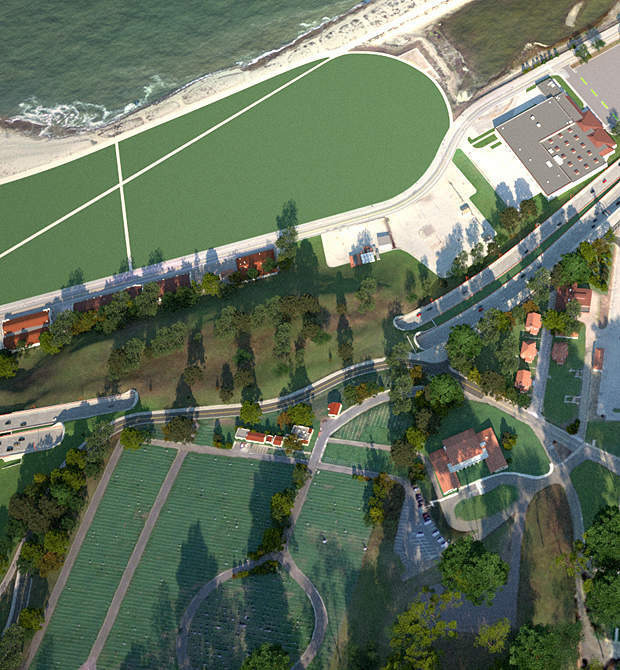 The parkway has 853ft-long twin tunnels that connect the city’s historic Batteries to Lincoln Boulevard and the San Francisco National Cemetery. The tunnels offer improved access to Main Post, Crissy Marsh, and the Batteries. Two viaducts were laid in opposite directions towards the southbound and northbound sections. The Ruckman Bridge was widened to accommodate an additional exit lane from the southbound highway to south-bound Presidio. Presidio Parkway provides 24 miles of trails and 19 miles of in-road bike lanes, making it easier for pedestrians and cyclists to cross Doyle Drive at several locations. The $48.4m contract for the Presidio Parkway was awarded to CC Myers and work began in December 2009. Construction was planned in two phases. Construction of the south-west section, the Southern Park Presidio Interchange, the southbound high viaduct, Ruckman Bridge, temporary bypass and the twin Battery tunnels were undertaken in Phase I, which was completed in April 2012. Phase II construction began in 2012 and major works were complete by 2015. The northbound high viaduct and Battery Tunnel, Main Post Tunnels, Northern Park Presidio interchange, northbound road to Merchant Road, Girard Road interchange and demolition of the existing high viaduct were completed in July 2015. The restoration and landscaping works are scheduled for completion in 2016. The Doyle Drive replacement project was divided into eight contracts. 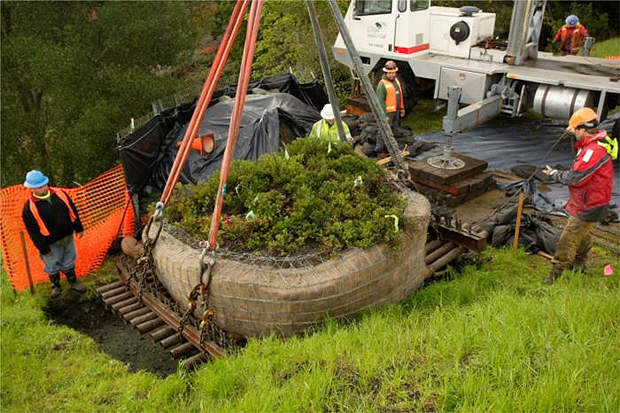 Under contract one, plant collection, salvaging and propagation, stabilisation of historic buildings, a tree programme, advanced geotechnical work and wetland mitigation contracts were awarded to Hanford, Centric Construction, Professional Tree Care Company, Malcom Drilling and TBD contractors, respectively. The fourth contract was awarded to R&L Brosamar for an at-grade detour, the south-bound Battery tunnel, a permanent roadway section, an electrical and mechanical substation, retaining walls and traffic switch woks. The fifth contract included main post tunnels, the northbound battery tunnel, demolishing the existing low viaduct, an electrical and mechanical substation, traffic switch and the sixth Girard Road Undercrossing. The seventh contract covered the northbound high viaduct, Northern Park Presidio Interchange, north-bound roadway to Merchant Road and demolition of the existing high viaduct. The eighth contract of landscaping is being considered for public-private partnerships. Arup provided the project’s roadway, drainage, utility, tunnel and structural designs. The company was also responsible for environmental compliance and mitigation, extensive landscaping and site investigations. Arup and PB Americas provided engineering services. The $1.1bn investment for Presidio Parkway project was sourced by 12 federal, state, regional and local agencies. The project received $363m in federal funding, $152.5m from the American Recovery and Reinvestment Act, $150m from Transportation Infrastructure Finance and Innovation Act loan, $166.6m through a bank loan and $43m through private equity. Project sponsors include San Francisco County Transportation Authority and California Department of Transportation, Presidio Trust, National Park Service, California Department of Veterans Affairs, Golden Gate Bridge Highway Transportation District, Metropolitan Transportation Commission and Federal Highway Administration. Sociedad Ibérica de Construcciones Eléctricas S.A. (SICE) is a systems and services integrator company specialising in intelligent transportation solutions for industrial, environmental and telecommunication management systems.